The Orioles signed former shortstop Mike Bordick today to be a Minor League Offensive Coordinator. His job? To work with Orioles prospects on fundamental baserunning and contact situational hitting. This move fits in nicely with the team's desire to refocus on the above-mentioned fundamentals after an atrocious 2009 in those aspects. Bordick is listed as a minor league coordinator, but I don't think it is a stretch of logic and reality to think that he will be leading clinics and refresher courses for the big boys in Sarasota this February. Bordick was always a class act and a more than solid player, known more for his defensive ability Bordick was a solid situational hitter and knew his role on the team. This team was atrocious on the basepaths last year and manager Dave Trembley has been adamant that this will change in 2010. The addition of Bordick is a great step in that direction. 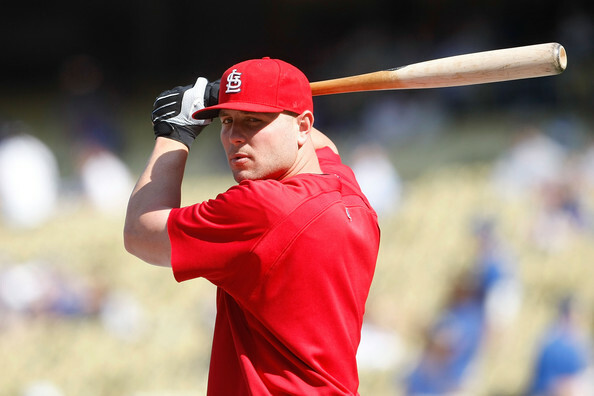 Also, news broke today that the Orioles offered Matt Holliday an eight-year $130 million dollar contract - or did they? As soon as the report from Fox Sports broke the internet went all a twitter. And the story was then quickly crushed with dual postings from MASN's Roch Kubatko and the Baltimore Sun's Peter Schmuck both quoting Andy MacPhail saying of the had "NO validity". It looks one of the premier free agents on the market, Jason Bay finally has a new home. It's not in Boston, but he wind up in New York -- however,he won't be a Yankee. Jason Bay is now a Met. The Mets offense was anemic in 2009 and they are hoping their big ticket item helps them this upcoming season. From Sports Illustrated/CNN: The Mets have reached a deal to bring All-Star outfielder Jason Bay to New York pending a physical, SI.com confirmed. The news was first reported by Mike Francesa of WFAN, who added that the announcement will come early next week. The Orioles will have an above average offense without making any other completely significant moves before Spring Training. Andy MacPhail has made his desire for a "Big Bat" well known, and the Orioles could use one. But the problem is that the biggest bat on the market is Matt Holliday who has dubious numbers outside of Coors Field has already, reportedly, turned down some pricely long-term deals to stay in Colorado at the beginning of last season. Moreover, the Orioles don't need another outfielder, unless you want to trade Pie, move Reimold to DH and trade Scott. Now all of those things could be done, and done easily I'm sure but is that worth Holliday? Markakis had a weird season. Power vanished, but his average and doubles were fine. His walks went away too. Give Markakis a legit bat to hit in-front of and I believe you will see a nice rebound from him. Jones needs to show he can put two good halves together and stay healthy and Wieters needs to hit like September 08 for most of the season. Wieters is the big question mark here. For once it is not just Orioles fans hyping up their own prospects he has been called the "switch-hitting Jesus" by national sportswriters he needs to let that out in April and never look back. If those things happen the Orioles will have a solid, above average offense next year. There will be no fewer than two-hundred jokes made about Minnesota's decision to play baseball in an open-air stadium in April. The average high in Minneapolis in April is 57 degrees, the average low 36. For comparison's sake Baltimore's averages are 68 and 48, respectively. Goodbye "Homer-Dome" look for Minnesota to be playing as an extreme pitchers park for the first few months of the season until things warm up in the Land of a Thousand Lakes. While we are on the subjdect of Target Field, it truly is a beautiful park though it looks like the offspring of Nationals Park, PNC Park and Citizens Bank Park. If some of you did not get to know who George Michael was via the small screen, you have no idea what you missed. He was a Washington sports anchor (or perhaps icon) for WRC-TV and earned recognition nationwide for his syndicated sports highlights show “The George Michael Sports Machine,” -- which many think was a forerunner to what ESPN is known for today -- passed away this morning at 70 of chronic lymphocytic leukemia. For those who grew up in Washington, he was the king of sports and perhaps the last of a dying breed. I always used stay up on Sunday night and catch him during my summers hosting "The George Michael Sports Machine" and especially for many who didn't have cable TV, his show was one of the few that gave viewers a glimpse of what was going on nationally. I don't know how many feel outside of the Mid-Atlantic region feel; however, for many sports fans, it's a day of sadness and celebrating his work. The snow is still blanketing the greater Baltimore Mtreo-plex and I have received the early girft of a nice long X-Mas vacation from Santa, or Father Christmas, or whomever you choose to think gives gifts at times like this. Myself, I celebrate Christmas and the twiggy tree in my den right now has neatly and tastefully wrapped presents resting beneath it, but what is under the Orioles fan's tree this year? Let's take a peek and see what is there. The first box is a long heavy box propped against the wall, is it that Red Ryder BB Gun? No, you'll shoot your eye out kid - why it's TWO BATS! Homerun bats to be precise for Matt Wieters and Nick Markakis. Starting in April they will need these bats because without them the Orioles will be in real trouble. I know that O's fans out there had Alex Gonzalez sugarplums dancing in their heads but you can't get everything you wish for and A-Gon is just too expensive. Besides, if Markakis and Wieters use these shiny new homerun bats (obviously felled by a strike of lightning) then they will gladly fill in for a lack of A-Gon and be the "big-bat" that Andy MacPhail wants so badly. This next box feels like clothes - ugh. Opening it you see a brand new Orioles Jersey! The name on the back: "TOP OF THE ROTATION STARTER". But who is it for? Well, no one knows yet. Maybe Kevin Millwood steps into that role, Guthrie is the elder statesman of the rotation and is capable of much more than last year's debacle. Chris Tillman and Brian Matusz arguably have the best "stuff" and "potential" to fill that jersey though Brad Bergesen was the best pitcher last year before his injury. With John Lackey and Rich Harden off the market there are no clear "TOR" starters out there through FA anymore so the four top candidates will have to settle it out over the course of the spring. Don't let the fact that Millwood will probably get the ball on day one fool you Orioles fan - Tillman or Matusz will be wearing that Jersey by the end of July. I was working on an Orioles all-decade team as I wanted to follow up what James started with his top ten Oriole moments of the decade; however, I was beat to the punch by Shotgun Spratling from the Blue Workhorse, who put together an immaculate list of talent on their blog. I like their list as written (and it's very solid); however, I do have some changes and recommendations. I'd go ahead and insert Adam Jones onto the team in place of Patterson by virtue of his Gold Glove and All-Star nod in '09. Patterson, with all his athletic gifts, never lived up to his potential and trying to be a power hitter killed his career. I think if he had cut down his swing and bunted more, he would have been an everyday .280-.300 hitter easily with his speed. I'd also go ahead and place Sherrill onto the team as the closer instead of Ray by virtue of his All-Star nod in '08. In the end, Sherrill's numbers weren't that great due to shoulder issues after the All-Star Game that year, but I am also throwing in his remarkable numbers in '09 to merit inclusion on the list. Here we are readers. The two most important events of the last ten years of Oriole baseball. We can argue all we want about the position of the last 8 things, and you can argue that Wieters should be on this list, but I don't think that anyone can argue about these next two events. The Orioles have a General Manager, ONE GM. Gone are the two-headed monsters of Duquette and Beattie and Flanagan. Andrew MacPhail grandson of glory-days Oriole GM Lee MacPhail, Andy MacPahil was brought into the troubled Orioles inner-circle during the tumultuous 2007 season. Manager Sam Perlozzo was fired on June 18 and, then bullpen coach, Dave Trembley was installed as interim manager. Two days later, Andy MacPhail was installed as “President of Baseball Operations” Jim Duquette was let go and Mike Flanagan has been lost in the either of the Warehouse ever since. 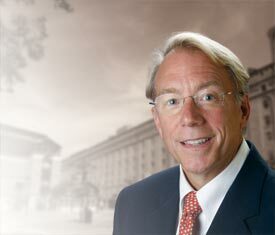 The question that dogged Andy MacPhail from day one was about his level of autonomy in hos job; would he have any? Orioles owner Peter Angelos has been a notorious meddler since he took over the team in 1993; he had famously killed major trades of the Jim Duquette era (most notably the de al that would have sent Brian Roberts to the Braves for Andy LaRoche) would Andy be any different? When asked that question MacPhail came right out and blatantly said: “If that were the case I would not have taken the job.” And you know what, I truly believe that. Andy MacPhail did not need this job, he did not need this headache. MacPhail is a guy on the short-list to be Commissioner of Major League Baseball when Selig finally retires, and he was on that list prior to taking the Baltimore job, why would he go anywhere where he did not have all the autonomy he wanted? Still, the proof is in the pudding – so why is the hiring of MacPhail number 2 on this list? Because it signaled a change. It has signaled a change in direction of the Baltimore Orioles franchise. Finally we have a GM allowed to do his job, moreover a smart GM with ties to the glory days of the organization as well as the community (there is a reason why there is a MacPhail road in Harford County, Maryland). MacPhail is a proven commodity and a respected name in baseball. He understands the fanbase and he understands the situation the Orioles are in as a mid-market team playing in the same division as the behemoth AL East. He simply gets it. He knows that the way to contention for a team like the Orioles is not by playing Yankee-ball, they needed to rebuild the farm system, long-neglected, and focus on young pitching. Yesterday, closer Mike Gonzalez met the scribes in Baltimore yesterday in an introductory press conference and from what I got from him, I really enjoy his attitude. His deal is for is two-years, $12 million; however, it could climb to $16 million with some incentives. Did the Orioles perhaps pay a tad above sticker price? Perhaps. From the Baltimore Sun: The Orioles were, "Definitely on my radar, just seeing the talent alone that these guys have," said Gonzalez during a news conference Friday afternoon after he passed his Orioles physical. "But not only that, also looking at the lineup, seeing our team, seeing the core, I mean, the guys are not just young, but very talented." Yet president of baseball operations Andy MacPhail stopped short of officially anointing Gonzalez as closer Friday. "That is a possibility, probably likelihood, but it's not something that is guaranteed to him," MacPhail said. "There will be a competition." Orioles manager Dave Trembley added in a telephone conference: "I would say he is at the top of the list [to be closer]. I think that's why we got him." After a lot of chatter about the Orioles potentially going after Matt Holliday and Adrian Gonzalez, the rumors of the team going after them are probably untrue (but who knows). In the Baltimore Sun this evening, the Orioles flat out said they are not currently making any overtures for either player. As is it, the article also noted that the organization does not plan any potential moves at all until after the holiday period. Then again, all this could be a game of brinkmanship too; however, I'd think the chances of getting one, much less both are pretty remote. But hey, Mike Gonzalez is happy to be an Oriole and get things started in the next few months. The decade started out with some history for the Orioles coming from a familiar source. On April 15, 2000 Cal Ripken Jr. collected his 3000th hit in Minnesota off Twins reliever Hector Carrasco. 2000 had started off slow for Ripken, whose 1999 season was cut short due to back spasms, he was barely over the mendoza line coming into the game that night and people were questioning whether this was his last season in the game. But Ripken would break out of his funk that night, going 4-5 and playing a solid third base, as everyone was used to seeing. In the seventh inning and with one out Ripken stepped to the plate. With Albert Belle on third and the game tied at four Ripken came up to face Carrasco. Everyone on Minnesota knew that Cal was one hit away from history and the crowd came to their feet. Suddenly, Carrasco uncorked a curveball that got away from catcher Matt LeCroy. Belle would score on the passed ball – no RBI for Cal that night. The next pitch was laced into CF for a base hit. Cal's 3000th. The crowd stood and cheered and the Metrodome scoreboard made not of the historic line-drive. With that hit Ripken became just the sixth player in baseball history to collect 3000 hits and 400 homeruns. That single solidified Ripken's name in the history books next to the likes of Willie Mays, Hank Aaron and former Oriole Eddie Murray. The rest of 2000 would not be as kind to Cal. Injuries began to derail the Ironman as he played in only 83 games that year the fewest number of games since he became a full time player in 1982. Ripken would soldier through though, but everyone knew that Cal, The Ironman, and the most identifiable Oriole of a generation would not be long for the game. What else needs to be said? Cal Ripken Jr.'s last game. There is a serious part of me that wishes this to be number one. How often do players like Ripken come through the game? How often come through your team? How often do they stay on the same team for their entire career? Every team will have a Hall of Famer at some point. Every team will have a great player/ leader come through their ranks. But Ripken was a legend. Ripken was a symbol of what baseball was, is and should be. He is the Gold Standard by which other shortstops are judged. He is the type of players that fathers want their sons to become. Ripken was able to say goodbye to the game in Baltimore, but only because the September 11th attacks postponed a Baltimore-Yankee series in New York. Through that horrific bit of irony the city of Baltimore got to say farewell to their native son. Ripken's career is simply one of legend. The streak aside; Ripken (as mentioned above) is one of only seven players in history to have collected 400 Hrs and over 3,000 hits. No shortstop has hit more homeruns and he is largely credited for revolutionizing the position. Prior to Cal shortstops were “all glove, no bat” type players (Think Mark Belanger or Ceasar Izturis) but Cal's superior bat and defensive agility quickly made him one of the best at his role. Today, the Orioles are still suffering from an era without Ripken. I call it “hero-withdraw”. We are still waiting for “The next Ripken,” much like Yankees fans will eventually search for “the next Jeter” and the entire NBA is still looking for “the next Jordan”. Orioles fans still debate “the face of the franchise” and we are desperately hoping for someone like Markakis or Roberts or Wieters to step up and try to fill the whole that Ripken left with his retirement. But the reality is this Orioles fans – there will never, NEVER, be another Cal Ripken Jr. He wasn't just a Hall of Famer he was a legend and we are forever blessed that we had the privilege to cheer for him. According to Ken Rosenthal and Jon Paul Morosi of Fox Sports, the Orioles have 'jumped into the Matt Holliday sweepstakes'. I don't think that the Orioles will seriously land Matt Holliday. I mean, why would he want to come to a team that has lost for 12 straight seasons and despite improvements made will not be a contender in the AL East. Furthermore, what would happen with Nolan Reimold and I'm sure Luke Scott is dealt to another team. In addition, if Holliday signed with Baltimore -- he'd be very expensive; however, he'd perhaps awaken the fanbase and be quite a presence in the lineup. He'd be a good fit for the dimensions of Camden Yards (despite his Oakland experience) with his power. However, his stats over the years might have been affected by playing in Colorado, but Holliday has one of the better bats in all of the game. Unlike the past few off-seasons where the Orioles got the Ryan Freels of the world, December 2009 has been a lot different. Did we get the big names on the market, um no; however, it looks Baltimore is taking steps to improve their product for the better in order to compete in the AL East. According to the Baltimore Sun and MASN, it looks like Fan Fest will be on Jan. 23 at the Baltimore Convention Center, rather than the weekend before the season at Camden Yards. The Orioles announced Wednesday that they will hold their annual FanFest on Jan. 23 at the Baltimore Convention Center and will begin selling individual game tickets for the 2010 season that day. Current and former Orioles will sign autographs and take questions from fans at the event, which includes several other activities and is scheduled for 11 a.m. to 6 p.m. Early entry for Orioles Season Plan Holders will begin at 10 a.m.
FanFest tickets cost $10 for adults and $5 for children 14 and under and adults 55 and over, and can be purchased in advance by calling 888-848-BIRD or online at orioles.com. Tickets can also be purchased on the day of the event at the Convention Center and the Orioles' box office. Free FanFest parking will be available in Lot B/C. Note: Mike Gonzalez was signed yesterday evening by the Orioles. According to the Baltimore Sun, the reliever will earn $12 million over two years with escalator and incentive clauses allowing him to make an additional $4 million. For those wishing the Orioles would do more on the free agent market to keep up in the AL East, it looks like they are closing in on a deal to acquire reliever Mike Gonzalez. Although Gonzalez has one of the craziest deliveries I have ever seen on the mound, the man's results for the past few seasons speak for itself. As much complaining as we've done as fans for the past few years, it looks like Baltimore is being proactive for 2010 and trying to fix the problem areas. If the Orioles do nail Gonzalez, it's a risk worth taking to solidify a part of their staff which was decent when Sherrill was around, and then drove off a cliff. 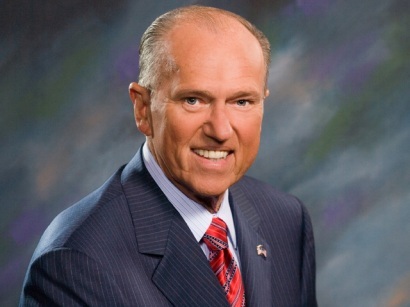 One can assume that Jim Johnson will return to being the setup man and Gonzalez will close. According to Roch's blog, Gonzalez's deal will be a two-year one. This week has ushered a flurry of activity in the sport of baseball with some signings of prominent and not so-well known names and a huge, huge trade. However, for the Orioles, they have not made any more waves since the winter meetings, but it looks like the front office is keeping their eyes open on the market. And yes, it's great to not see Brian Roberts' name bandied about in trade rumors this off-season. I think we all want to see more happen out with the Orioles and see them as agressive as let's the Red Sox or Phillies, but there's a lot of time until Spring Training. The one area Baltimore needs help is in it's bullpen and right now little has been done to improve on that front. This evening, the Baltimore Sun's Jeff Zrebiec has a piece on free agents that may interest the Orioles and quite a few of them are of the closer variety. The names thrown out include Matt Capps, Fernando Rodney, Mike Gonzalez, Jose Valeverde, Kevin Gregg and Mike MacDougal. As it is it looks like the Orioles really like Rodney, while having a strong interest in Capps. It looks like Gonzalez and Valverde will be expensive and plus cost two draft picks, so it's safe to say that the Orioles may look for value with the names on the market. Here are photos from the 31st Orioles Annual Holiday Party. On Wednesday at the ESPN Zone in downtown Baltimore, about 80 kids from the Lakeland Elementary got to hang out with former and current Oriole players -- both major and minor leaguers -- along with team coaches and officials for about two hours. It was quite a production with Jim Hunter as the emcee and Rick Dempsey dressed up as Santa Claus later on and followed in the hallowed tradition -- done in part by the late Elrod Hendricks -- of singing Christmas carols. The players and coaches served lunch to the kids, while they -- as most are when they see a litany of food -- were as happy as could be. As well, later on during the event, the players joined along with kids and had some fun upstairs, enjoying the various games and arcade stuff. All in all, everyone -- especially the adults -- seemed to have a ball on Wednesday afternoon. No man has generated more hair-pulling moments than one Daniel Cabrera. D-Cab was quite possibly the most maddening force of nature that put on a uniform in the last ten years. More likable than Sydney “Margaritaville” Ponson but more unstable than that adjustable rate mortgage you got four years ago Daniel generated more controversy than virtually any Oriole in recent history. Enigmatic. Frustrating. Electric. Headcase. Head-hunter. Talented. Unteachable. Just a few of the words that accurately describe the towering Dominican pitcher. It seemed that every month Daniel was about to “turn the corner” and Orioles fans everywhere were eagerly awaiting the results of their patience. Many thought the time finally had come one night in New York City. Cabrera had yet another maddening year of ups and downs. He entered New York with an 8-10 record and an ERA just over 5.00. He had only gotten past the sixth inning once in the month of September, his prior start against the Twins in Baltimore. No one was expecting what would happen next. Over nine innings, his only complete game of the year. Cabrera would overcome three errors behind him to take a no-hitter into the ninth inning against one of the strongest lineups in baseball. Cabrera literally cruised into the ninth inning in complete command. His fastball in the mid-90's with movement was confounding Yankee hitters all night. In the bottom of the ninth Cabrera's bid for history was foiled when Robinson Cano slapped a clean single off of a 0-1 count. The Yankee crowd cheered, Cabrera and Orioles fans everywhere winced in frustration. Cabrera would retire Bobby Abreu on a routine double-play and the Orioles would win. Not only does it describe that game, but Cabrera himself; so close. Many thought that this was Cabrera turning the corner, but it would never come to pass. Daniel never found it, the Orioles gave him every opportunity and every coach tried their best but Cabrera was never able to harness the lightning bolt in his forearm. Cabrera lost 18 games in 2007, 10 games in 2008 before he was let go and found his way to the Nationals – where he finished with an 0-8 record before being released. Daniel Cabrera, amazing moment; a brush with history – so close. While the huge news early in the day concerning John Lackey was surely an attention grabber, it was one-upped by the Fighting Phils this afternoon. 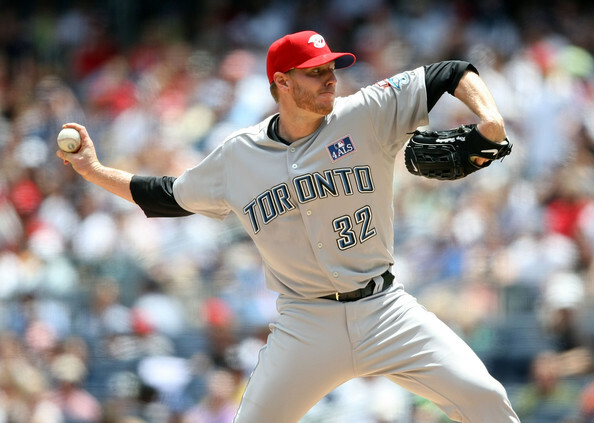 According to Sports Illustrated, the Philadelphia Phillies have agreed on a three-team trade with the Mariners and Blue Jays to acquire ace pitcher Roy Halladay. It looks like posteason hero for the Phillies, Cliff Lee will go to the Mariners, and Seattle will definitely send a prospect or two to Toronto. John Lackey Off The Market to the Red Sox? If all reports are true on this one, it looks like a potential big fish in the free market has been caught. According to Fox Sports' Ken Rosenthal, free agent pitcher John Lackey had a physical done in Boston early this morning, and a potential deal is in the works. Well, assuming Boston acquires Lackey, they'll have one of the more formidable pitching rotations in the game with Jon Lester, Josh Beckett, Daisuke Matsuzaka all in the fold. I write a blog. Therefore, in accordance with the blog-writer's association by-laws (article 1 section 8 clause 18) I must create a “list” of important moments at the close of a significant portion of time be it seasonal, annual or in increments of ten years colloquially called a “decade”. The end of the “aughts” is upon us and the last ten years of Orioles history has, well, not been kind. But I still feel there were significant enough moments to cobble together this list. This is not a “Best of” list, this is a different list filled with good and bad it is the Birdland's 10 Most Important Moments of the Decade. Former Orioles owner Edgar Bennett Williams removed Baltimore from the Orioles road uniforms in 1973 in an effort to market the team as a regional entity since the Washington Senators flew the coop, for the second time, to Texas to become the Rangers. The Orioles won a World Series, made the playoffs, hosted an All-Star Game and sent many players to other All-Star Games without having Baltimore stitched across their chest. As the Orioles went into severe decline after the 1997 season people began to clamor for the city's name to return. Local shock jock sports hosts used the lack of the city on the front of the road-jerseys as some sort of deus-ex-machina to launch into misinformed ludicrous tirades against the team, and current owner Peter Angelos. 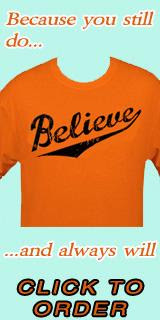 But finally, after 35 years, the 2009 Orioles brought Baltimore back pleasing Oriole fans everywhere. The unveiling at the Gallery shopping mall in the Inner-Harbor saw 300 people attend current and former Orioles strut in the new threads. The best addition to the uniforms in my opinion was the circular patch on the right arm. On the white home-jersey it reads Baltimore Orioles in an orange ring around the Maryland Flag, it is a very sharp looking patch. I personally love the Baltimore road script. I love my city and I love my team. The fact that I get to now combine the two effectively makes me a very happy man. This move made a ton of people happy it was the first step of a renewed community commitment under new General Manager Andy MacPhail and the Orioles Reach program. Put simply, it was the right thing to do. As most Oriole fans know, Buck Martinez left MASN this week for a broadcasting job with the Toronto Blue Jays. The Mid-Atlantic Sports Network has had discussions with former Orioles executive vice president Mike Flanagan and could talk to as many as 20 other candidates about their open color commentator position, MASN spokesman Todd Webster said today. Buck Martinez, who had broadcasted Orioles games for the past seven seasons, left MASN this week to become the play-by-play man for the Toronto Blue Jays on Rogers SportsNet. "We've spoken to Mike, but we will speak with probably 20 other people before it's all said and done," Webster said. Flanagan acknowledged that he's had discussions with MASN officials, but he didn't want to comment further. Flanagan, who has spent this year in a transitional period after being a top executive for the organization for six years, has had two stints as an Orioles color commentator. He has spent four decades in the organization in various roles, from Cy Young-winning pitcher, to pitching coach to the top decision maker in the front office. I'm not sure who else MASN has interviewed; however, looking back at part of my childhood in which I'd watch Oriole games down in Washington, Flanagan was solid behind the mic. Ok, I can only give so much perspective from that long back, but reading some of the other forums and articles about this topic, he was suitable. He's got experience playing the game, he's a former executive and knows the organization well as anyone. I think he'd be a good fit, though I am not sure how his relationship with the team is at this point. 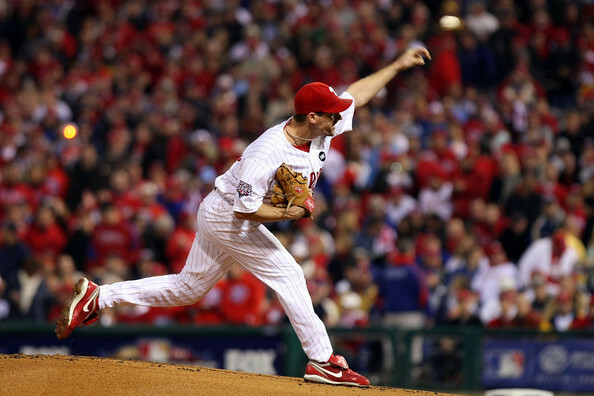 Ray's not an elite closer, but he could help the Rangers in some leveraged late-game role. He also makes it easier for them to put Neftali Feliz in the rotation, where he worked in the minors before mid-2009 and where his future probably lies. Saving $8 million -- which they've allocated to Rich Harden, while adding a decent relief arm -- is a big win for Texas and allows the Rangers to close the door on another big free-agent deal that didn't work out. Baltimore's motivation is a little less clear. They trade three years of control of Ray for one of Millwood and add $8 million in salary, although losing Ray's 2009 performance isn't going to hurt the club. Millwood could, in a best-case scenario, provide some bulk innings, but I wouldn't bet on league-average performance after a year when his strikeout rate was a career-worst and his walk rate was close to one as well. Millwood's velocity has been gradually declining for years, and he doesn't have the type of command to survive as a finesse guy -- although his stuff hasn't yet dropped to that level. With Jeremy Guthrie, Brian Matusz, Chris Tillman and probably Brad Bergesen behind Millwood, the O's now have a complete rotation on paper, but I wouldn't be shocked if Millwood were only the third-best starter of the bunch in 2010 (even though he'll outearn the other four combined). I'm curious how Millwood will perform in Baltimore considering he's going from one bandbox (The Ballpark in Arlington) to another (Camden Yards). Although Millwood may be better older and may be slightly in decline, the organization hopes he could serve as a mentor -- sort of like what Rick Sutcliffe did in the early part of the 90's with Baltimore. Most fans know he's not going to help the Orioles acquire a pennant, but he's better than let's say some of the various pitchers who were given starts in 2009. 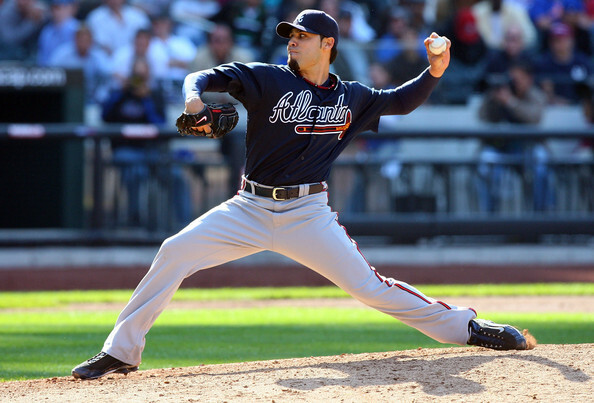 However, Millwood will be expected to keep the Orioles in games and take the pressure of Jeremy Guthrie. Also, Tillman, Matusz and the other young arms in the Oriole rotation will surely learn a lesson or two on how a veteran prepares for a game on the mound. One of the names mentioned as a possible stop gap at third -- Pedro Feliz -- is off the market. 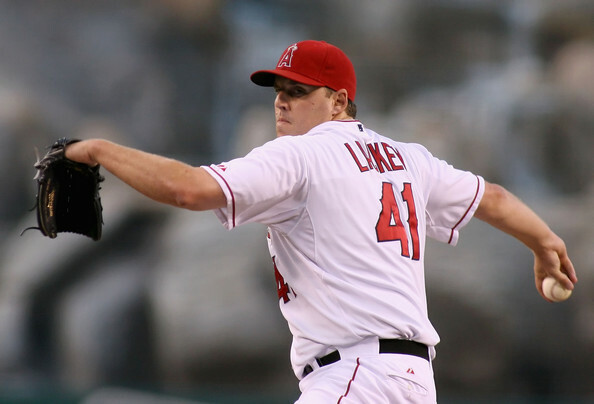 Yesterday, he signed a one-year deal with the Houston Astros. Meanwhile, it looks as if the Orioles are looking at Kevin Kouzmanoff (San Diego) and Dan Uggla as potential replacements at third; however, both men have their positives and negatives. The team got another pitcher from the Rule 5 Draft -- Jose Duran, and the team brass are still taking a closer look at Cuban pitcher Aroldis Chapman. Also, Dave Trembley wants to see more wins (as we all do), plus toughness out of his players -- especially the pitching. It looks like Brad Bergesen will indeed be ready for the 2010 season as his leg seems to be healed. Orioles broadcaster Buck Martinez will not return to the pressbox in Camden Yards next year. Martinez will be the in-house personality for the Toronto Blue Jays. Martinez was, of course, a former catcher and manager of the Jays so he will fit right in the Toronto booth. Will I miss Martinez? Well, you bet.. Honestly I never had a problem with Buck, he was a fine enough announcer. He wasn't anything that was remarkably memorable in the history of Baltimore broadcasting, but he was solid enough. For some reason Orioles fans tend to be rather hard on the MASN team of broadcasters. Davis, Hunter and Dempsey are too "polly-anna"; Palmer is too full of himself; Thorne reacts too positively to other teams. I have heard it all. I guess until we ressurrect Chuck Thompson no one will be happy. MASN has made no indication yet as to who will take Buck's place in the booth - I think I know a young Baltimorean with a golden throat who would love to take a crack at it. Baltimore Orioles GM Andy MacPhail seems to have completed his first deal of the winter by trading maligned reliever/ closer Chris Ray to the Texas Rangers for veteran starter Kevin Millwood, the Baltimore Sun Reports. The reported deal would send Ray to Texas and the Rangers would pay $3 million dollars of Millwood's $12 million dollar contract. Millwood is in the last year of his deal and the Rangers have been looking to dump his salary. The Orioles have been linked to Millwood for a couple weeks now. The last time Millwood was a free agent, prior to signing with Texas; the Orioles were suitors but seemed to be turned off by shoulder problems. Millwood's play has obviously put those fears to rest and the Orioles see Millwood as a stabilizing force in their rotation of talented young arms. Millwood today is a long way away from his 2005 Cleveland season where he led the AL with a 2.86 ERA, but the Orioles aren't asking him to do that. The Birds look at Millwood and see another Jeremy Guthrie; Someone who can pitch between 170-200 innings, keep his ERA in check and take pressure off the young arms. Millwood is not a number one, he is not John Lackey. Millwood is a guy who can be a reliable arm in the middle of the rotation and, with young pitchers waiting in AAA, could be someone that gets spun off in another deal in the middle of the year. Moreover, when you consider that the Orioles have money to spend and they are only giving up a player, in Ray, that was likely to be non-tendered the Orioles essentially have signed Millwood to a one-year $9 million dollar contract. Millwood an Oriole, Ray to the Rangers: A Done Deal? The Orioles have a tentative agreement in place on a trade that would send reliever Chris Ray to the Texas Rangers for veteran starter Kevin Millwood and some cash, according to multiple team sources. The agreement is contingent on some minor issues, including a review of the medical records of both players. The deal could be completed as early as tonight. The deal will also need to be approved by Major League Baseball because it's expected that more than $1 million is changing hands. Chris Ray, who appeared today at an Orioles charity event at ESPN Zone, has not yet been notified of the deal. Peter Gammons is leaving ESPN following the end of baseball's winter meetings this week. Gammons, who joined ESPN in 1989 after a distinguished print journalism career with the Boston Globe and Sports Illustrated, has decided to pursue other endeavors. "My decision to leave ESPN and move on at this point in my life has been conflicted," said Gammons in a statement. "I owe a great deal of my professional life to ESPN, having spent more than half of my 40 years in journalism working for the network, and the choice to move on was made with nothing but the strongest feelings for the people with whom I worked. 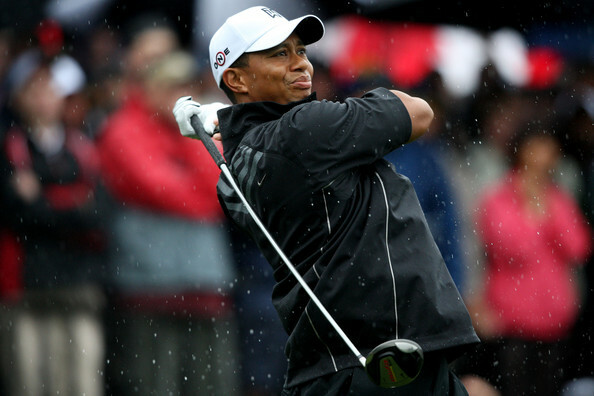 ESPN gave me a great deal more than I gave it, and will always be a huge part of who I am." Gammons, 64, was named the 2004 J.G. Taylor Spink Award winner for outstanding baseball writing during the 2005 Hall of Fame induction ceremony. "As a print journalist moving to television, Peter was a pioneer who became a Hall of Famer," said Norby Williamson, ESPN's executive vice president, production. "His contributions to ESPN will never be forgotten. We're sad to see Peter go, but understand his desire for new challenges and a less demanding schedule." It seems like Orioles officials are getting more confident that they can complete a deal for Texas Rangers veteran pitcher Kevin Millwood. Conversations have been going on between the Orioles and Rangers throughout the Winter Meetings and a possible scenario has developed in which the O's would send reliever Chris Ray to Texas and pick up most of Millwood's $12 million guarantee for next year. Don't know if it can get done here over the next 24 hours, but it remains a real possibility. If getting Millwood means trading Ray, I'd pull the trigger and do it. Well, I don't know if Millwood is exactly the ace we need, but he's a lot better than some of the alternatives on the roster. He'll provide experience, take a bit of pressure of Guthrie and also hopefully keep the Orioles in most games with his performance on the mound. If the Orioles get Milwood, they SHOULD NOT stop with him. Get as many arms as possble, including reclamation projects like Ben Sheets, Erik Bedard and Rich Harden (to an extent). The Orioles are expected to take the next step in their wooing of free-agent pitcher and Cuban defector Aroldis Chapman next week when international scouting director John Stockstill travels to Houston to meet with the pitcher's agents, Alan and Randy Hendricks. "The next step for us is we'll meet with them some time again next week," Stockstill said. "That probably involves a trip to Houston." Stockstill and Orioles president of baseball operations also met with the Hendricks brothers on Tuesday during Day Two of the winter meetings. It was the Orioles' first extensive opportunity to express their interest to the Hendricks Brothers, who took over the representation of the pitcher after Chapman left Edwin Mejia last month. "They are sort of starting and collecting the information for themselves at this point," MacPhail said. "I think that process has sort of restarted. They're just starting to get their feet on the ground. They kind of have to get up to speed." 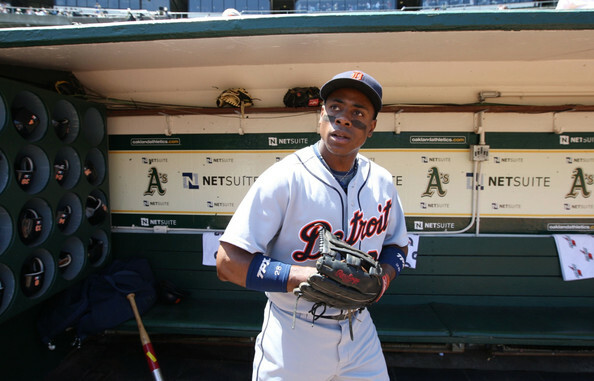 I adore and very much respect outfielder Curtis Granderson. He's a hell of a ballplayer, athletic, and is certainly one of the faces in the sport when it comes to charitable works along with public relations. However, I cannot stomach him becoming part of the Evil Empire -- aka the New York Yankees -- assuming the various reports out of the Winter Meetings are true. "What seemed like routine speculation on Monday morning could crystalize into the Orioles' first real deal of the offseason. The O's have had discussions with the Texas Rangers about veteran pitcher Kevin Millwood and may be getting closer to acquiring him for one of the Orioles second-level pitching prospects. Depending on the quality of the prospect, the Rangers would likely pay some of Millwood's $12 million salary for 2010." At this point, I think the Orioles should take the risk and make this move. I don't know who I'd trade in a package for him, but someone like Pie or any of the young pichers (outside of Tillman, Matusz) would be ideal. Apparently, the Orioles were after reliever Rafael Soriano as well (however, it looks like he'll be staying with the Braves after accepting arbitration). This week, all 30 teams are in Indianapolis for the Winter Meetings and this is the time of year when some of the wheeling and dealing gets done in the sport. For the Orioles, it will be seen if the team actually does anything in the shaping of the on-field staff for 2010, or if they will sit back and watch the action. While we all want the young talent to come up at the big leagues and succeed, I'm sure most of the fans want to see improvement and the Orioles play some competitive baseball in the summer. At this point though, I think the team needs at least another veteran starter or two, a reliever or two, plus a power bat in the middle of the lineup. Will there be a trade made, who knows? However, with the amount of young talent the Orioles have gained over the past few seasons, it will be interesting to see if a deal is made. As time goes along, I as a fan would like to see some improvement in 2010, not the status quo we've been accustomed to for the past decade plus. Peter Schmuck of the Sun reports that the Orioles have released their Spring Training schedule. It's very interesting to see who they are playing and one can expect that tickets for some games/venues in Florida (based on my experience barnstorming the state over the years) may be hard to come by. As reported, the Orioles will not be playing the Nationals at all in Florida, and play the Yankees and Red Sox a combined total of nine times during that period. This week, the Orioles lost a front office member as Wayne Krivsky -- who according to the Baltimore Sun was the special assistant to the president of baseball operations -- decided to take another position, this time with the Mets. Right now, there's really not any news why he left and from what I saw last season, I didn't hear much about him at all. I would presume he did a lot of work behind the scenes with scouting and player development. On Tuesday, according to the Orioles.com website, the team declined to give arbitration to these players: Melvin Mora, Danys Baez, Mark Hendrickson and Chad Moeller. The article notes that only Melvin Mora would have been a Type B free agent -- meaning the Orioles would have to have given up a draft pick. Also, Mora had an $8 million dollar option for 2010 and one would assume that he would take if offered arbitration. 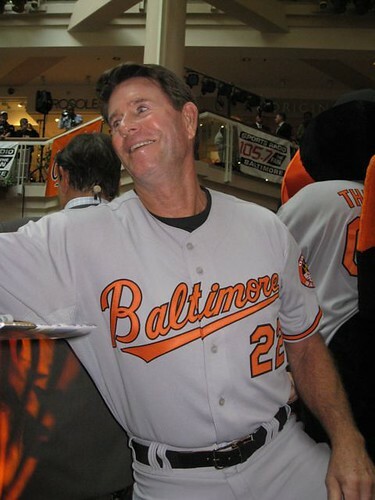 Finally, if you all be in Fells Point this weekend, Rick Dempsey, 1983 Orioles World Series MVP will be lighting the Fell's Point Christmas Tree on December 5th. Hero worship is a very, very dangerous thing. I'll say this again -- just because someone hits, catches, throws a ball, or runs really well and performs a superhuman act, we have no idea who in the world they are. Sadly, we are finding that about Mr. Woods. We, the public should admire our athletes for their gifts; however, it doesn't correlate them into being a superior human being than a regular Joe. While we all don't know the details of his drama, the more I see, the more sordid it's beginning to sound. We make mistakes, they do too. Then again, the mistakes of us regular people are not on display to the world. That's the crazy price of celebrity. Um, I've been following this Salahi couple for a few days (only because we can't be rid of them); however, at the first I find their escapade funny. Then, I thought more about it (the potential danger to President Obama and the elite at the dinner, the brazeness, the desperation of this couple for fame) and I figure they should have the book thrown at them, if they ever incur charges. If you want to become famous, work at it and be honorable, don't be idiots. Finally, Ms. Sheila Dixon, I'd like to have a measure of sympathy for you, but I cannot. Stealing money from poor people is never a good thing, and using it for your own purposes -- especially as a mayor of a major American city -- is just ornery and a serious violation of a sacred public trust. When $600 dollars -- the amount of the gift cards used in question -- could potentially cost you your job and a potential $80,000 plus-grand-a-year-for-life once you leave, you've got issues.